Home Yoga Tips Can Yoga Mitigate Your Migraine? Can Yoga Mitigate Your Migraine? According to migraine world summit, migraine is underdiagnosed, undertreated neurological disease experienced by one billion people worldwide. Which means it is more common than diabetes, asthma and epilepsy combined. One in seven people suffer from migraine at some point in their lives. Migraine is severe head pain either on one side or both the sides and increased sensitivity to lights and sounds. 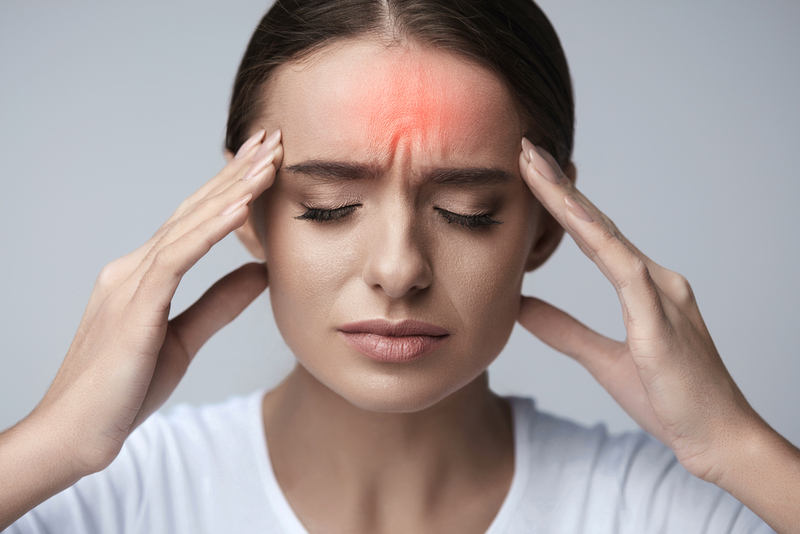 Causes of this are not known but genetics and environmental factors including imbalances in brain chemicals are supposed to be the reasons for a migraine attack. There are hormonal changes during an attack, which usually revert back to previous levels after the attack. There is a decrease in Estrogen levels, decrease in Serotonin (found in low levels in people with depression), increase in Monoamine Oxidase. Migraine attack is also supposed to be triggered by increased use of medications. According to a study by NCBI at National Institute of Health, the U.S., there is an abnormal increase in Estrogen levels in women who practiced yoga for an hour, twice a week. Journal of psychiatry and neuroscience science says, Serotonin, which is found in low levels in depressive people and people under stressful conditions is found to be increased in people practicing Asanas, Pranayama and Meditation. Levels of Monoamine Oxidase is lowered in yoga practitioners. Regular practice of yoga keeps obesity, which supposedly triggers Migraine, in check. Medication overuse is another significant trigger for a migraine attack. Medication overuse causes headaches which occurs when medications stop relieving pain. According to National Center for Complementary and Integrated health, regular practice of yogasanas and meditation will reduce the necessity of medication and there by keeps migraine attack in check. Also, from keeping Migraine in check, practicing yoga, meditation and pranayama brings balance, clarity and enhanced vigor in your life. Incorporate yoga in your daily routine and experience the benefits of side effect free, natural, age old sciences.